There’s no secret our canine companions love meat. 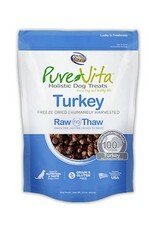 So, why not treat them with these healthy, delicious freeze dried raw treats from Pure Vita? 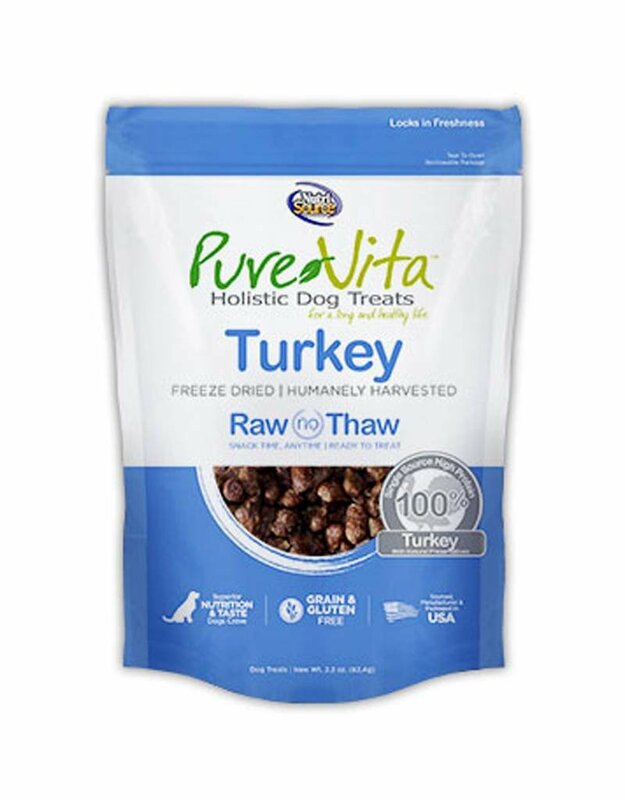 Made with a single protein – real turkey – these treats are freeze dried raw to maintain all of the amazing vitamins, minerals and health benefits found in the food itself. Nothing synthetic or artificial here! For a full nutrition profile of this product, visit Pure Vita's website.